December | 2018 | COMMUNITY ACTION ALLIANCE FOR NSW (CAAN): HOUSING INEQUALITY WITH AUSSIES LOCKED OUT! OPAL TOWER … MORE CRACKS ON LEVEL 4 AND … ? THE global engineering firm WSP employed by Developer ECOVE is leading the investigation while the NSW Government has appointed two Professors of Engineering to lead an inquiry. MEANWHILE precautionary propping has been installed on level 4 at the site of the newly discovered damage. HOWEVER, it has been raised that the issue may lie in the location of the development, is it on reclaimed mangrove swamp? 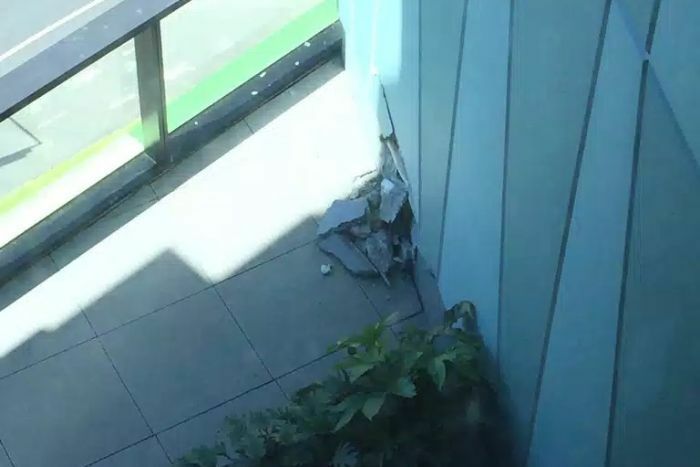 The engineering firm investigating what caused a large crack to develop on a concrete panel in Sydney’s Opal Tower has discovered more damage in the building. 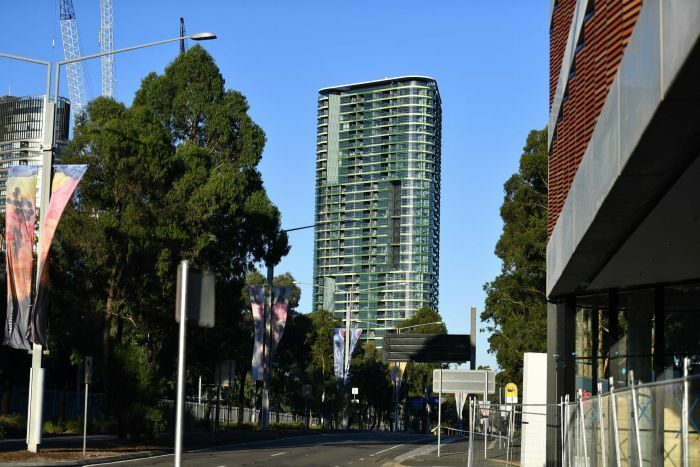 The 34-storey building at Sydney Olympic Park was first evacuated on Christmas Eve — and again three days later — after a crack was found on level 10. Engineers from WSP said they found two areas with “lesser damage” on level four but said apartment complex was “structurally sound overall”. “As a precautionary measure, propping is being installed to support level four and this will be completed by Icon Co by the end of today,” WSP said in a statement. “All involved parties are working cooperatively with the Government’s independent engineers, who are investigating the cause of the damage. Icon Co is the construction company that built the tower. In the statement, WSP warned residents on level four would not be able to return to their apartments until repairs were complete. That could mean they are displaced for months. The NSW Government has launched its own investigation into the tower’s structural integrity, appointing two university professors to write a report which will be made public. NSW Minister for Better Regulation Matt Kean said developers in Sydney who had cut corners should be worried. “If you’re a certifier who’s done the wrong thing, I will find you and I will throw the book at you,” he said. CAAN has previously shared with you that in the late 1990s when China’s Middle Class was embraced by changes to our Immigration Policy to offer “flexible citizenship” in return for investing in property and education! The documents, released for the first time on January 1 by the National Archives of Australia, show cabinet endorsing a proposal by Mr Ruddock that would give immigrants who lived in regions outside of Melbourne and Sydney extra rights to sponsor siblings, nephews, nieces and other non-dependent family members to join them. The cabinet also decided against adopting a formal population policy on Mr Ruddock’s advice, but began the transition from a family-based immigration system to a skills-based system that would help propel Australia through 27 years of economic growth. Mr Ruddock argued there was no evidence that Australia was approaching the limits of its carrying capacity and because of its relatively low fertility rate it did not need a formal population policy outside of immigration settings. The Howard cabinet considered adopting a formal population policy more than two decades ago, as it grappled with the settings that would define Australia’s immigration debate under future Labor and Coalition governments. Confidential cabinet documents reveal NSW and Victoria were demanding a bigger say in the annual immigration intake as early as 1996, while then immigration minister Philip Ruddock lobbied to push more migrants to the regions in a series of cabinet minutes that could have been written 20 years later. The Coalition has been at the centre of a new immigration debate that has spanned both the Turnbull and Morrison governments, as concerns grow about the failure of infrastructure to keep up with the needs of a growing population. The population has surged past the most bullish estimates provided by the Australian Bureau of Statistics to cabinet in June 1996, which predicted the population would grow to between 22 million and 24 million by 2021. Australia clocked up 25 million in August. “I am concerned about the extent to which new arrivals settle in Sydney and Melbourne rather than regional Australia and the lesser populated states and territories,” Mr Ruddock told cabinet. Mr Ruddock presented research that showed the primary factor determining an immigrant’s choice of settlement location is their family. The proposal could yet be expanded on more than two decades later by the Morrison government as it looks to deliver a formal population policy ahead of this year’s election. Despite the concerns, the Department of Finance questioned the practicality of the proposal, foreshadowing the difficulty successive governments have had in finding the right policy levers. “There is no barrier in Australia to migrants or others living where they wish. Migrants and others will choose to live where they consider their prospects of successful settlement, including employment, to be most favourable,” it said in its submission. NSW in particular had pressed for a formal population policy under former Labor premier Bob Carr. 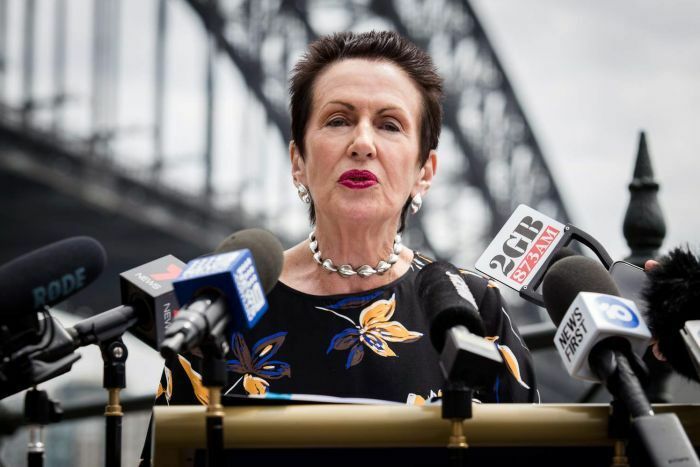 The submission is eerily similar to current Liberal premier Gladys Berejiklian’s statements at the Council of Australian Government’s meeting in December. “State governments would be involved in discussions relating to intake levels and would be kept fully informed of the Commonwealth’s medium term plans for the level of immigration,” the cabinet documents state. “By managing the overall intake as part of general population policy the effects of continued urban growth could also be better dealt with. “A formal population policy would reduce the government’s flexibility to respond to humanitarian crises, fluctuations in compositions of demand driven components of the migration intake and the needs of an Australian economy for key skills that may be in short supply,” he said. Two decades later, Prime Minister Scott Morrison charged Population and Cities Minister Alan Tudge with formulating Australia’s first population policy weeks after he took over the Liberal leadership from Malcolm Turnbull in August. The submissions provided to the Howard cabinet are likely to form the basis of the population agenda, particularly on the economic case for immigration. The cabinet heard that the most reasonable conclusion that can be drawn from past analysis is that overall economic impact of immigration is at best considered positive, albeit close to neutral, as migrants drive up tax receipts and the supply of workers and skills. “A common community view has been that immigration drives down wages, increased labour supply might exert downward pressure on wages – at least in the short term. In the longer run however, there will be offsetting effects as aggregate demand and output expand,” a cabinet submission in July 1997 stated. The evidence turbo-charged Australia’s shift towards a skills-based immigration system that mirrored Canada and New Zealand, with stricter qualification, financial and English-language restrictions. In 1996, 65 per cent of migrants arrived under family reunification visas and 35 per cent were skills-based. By 2018 those statistics had been reversed. The Howard cabinet did not want to increase the overall permanent intake beyond 96,000, so it had to find cuts elsewhere if it was going remain within the cap. Mr Ruddock presented several proposals, including a radical option to restrict family sponsorship rights to citizens only, which would have seen the queue reduced by 40 per cent, and a regulation change that could have seen any applicants that did not fit within the cap having their application terminated along with a non-refundable fee of up to $900. The measures were part of a series of controversial measures Mr Ruddock took to cabinet in his first year as a minister. The now president of the NSW Liberal Party also asked for the National Security Committee to grant him unprecedented powers that would allow him “to cancel a large number of temporary visas held by a class of persons whose entry to Australia would be contrary to the national interest”. Ministers had previously only been allowed to cancel the visas of individuals on a case-by-case basis. In the document’s marked secret he said the powers, which would not be subject to a merits or judicial review or a provision of parliamentary disallowance, were necessary in the lead up to the Sydney 2000 Olympics in the case of an outbreak of a highly infectious disease or “a civil disturbance resulting in an attempted exodus of people to Australia seeking refuge”. The Attorney-General’s Department advised that such a move would be unlikely to survive a challenge in the High Court. “It is a fundamental rule of administrative law that discretion must be brought to bear on every case with each being considered on its merits,” it said. In the same year, Mr Ruddock successfully lobbied cabinet for the immediate approval of temporary residence for more than 8000 refugees who had fled Kuwait, Iraq, Lebanon, Sri Lanka and China before 1993, as their countries grappled with ongoing civil unrest. HOW CAN THE DAIGOU ASSOCIATION PLAN PUT AN END TO BABY FORMULA FRENZY AT SUPERMARKETS? WHAT are the Australian laws on “reselling” goods from retail outlets? It would appear they need to be enforced! WITH the Daigou market in Australia estimated at $850M and 60,000 -70,000 Chinese living in Australia undertaking such trading practices across a range of goods, and in Real Estate! The Daigou Association may assist in the resolution of issues in the supermarket, but how can it eliminate the theft and/or abuse of purchase unless the stores police this themselves by taking such goods off the shelf and establishing an in-store register with limits on purchase and CCTV? IS it any wonder there has been such a scramble and chaos with Daigou making $100,00 or more annual income? ARE these the sort of immigrants or “Permanent Residents” that Australia wants who appear to be on the take rather than contributing to our Society? AS AN ASIDE HOW MANY OF THE DAIGOU HAVE BEEN ACTING AS THE ONSHORE PROXY IN THE AUSTRALIAN REAL ESTATE MARKET? DESPITE the Daigou Association Launch in Australia … February 2018 … the Baby Formula chaos continues in the Supermarkets! Australia’s giant brigade of Chinese ‘daigou’ shoppers is about to table a circuit-breaker on baby formula, hoping to put an end to supermarket scuffles and empty shelves. With some Chinese immigrants and students reportedly making up to $100,000 a year by shipping Australian formula back home, filming frenzied baby formula chaos is now commonplace across social media as disgruntled shoppers battle it out for the prized commodity. From a Christmas Eve swarm on a Coles site in Sydney to a round-robin raid on Woolworths in Brisbane, Aussie shoppers have worked to expose China’s tin-can army who appear to breach store limits over and over. Yet experts believe there are alternatives to what has become one of the most controversial issues across the nation. A new plan, which will go to supermarket chiefs next month, would see a dedicated register for Australia’s 40,000 daigou which would allow them to place unlimited orders online. In theory it would give manufacturers firm forecasts on demand and would allow supermarkets to keep their cut, preventing scuffles in the aisles and breaching of the two-tin limit. The move looks to follow suit with vitamin makers who have been operating a similar procedure for years. Consumer behaviour analyst Barry Urquhart said the current “mess” did not need to be seen by the Australian consumer. NSW PROPERTY … a part of NSW INC like a feline has to spray … to mark its territory … even if it is not theirs! “I frankly think that is outrageous that they’re trying to make money out of something we’re putting on to bring the community together harmoniously,” Ms Moore said. “People are concerned about many of the sites around the city being ticketed. “I just want to stress … this is a free community event. “Free for our locals, free for our interstate visitors and free to our overseas visitors, all the city-owned sites are free. Ms Moore’s broadside at the State Government for a perceived monetisation of New Year’s Eve was made at Hickson Road Reserve, in an area cordoned off to non-ticket holders. 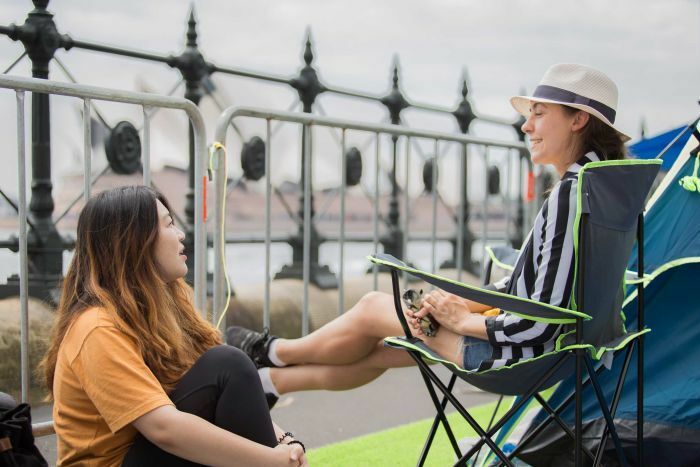 Less than 30 metres away, both local and international revellers had been camping since 6:00am alongside Hickson Road and on the grassy knoll facing the Sydney Opera House. Mick* has staked at the same stretch of footpath every New Year’s Eve for over 25 years and brings cards to play with his teenage sons to help the 16 hours pass. “You could probably fit a thousand people along this stretch to watch the fireworks,” he said. Revellers across the country are in for a show as Australia’s capital cities pull out all the stops to ring in the new year. Here’s what each state has on offer. Across the road, 29-year-old Richard had been camped out since 10:00am with his family and his relatives who were visiting from China. 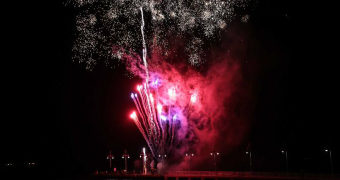 He said he would typically go down to Campbell’s Cove, near his home, to watch the fireworks but to his surprise discovered they were charging for admission this year. “Little bit annoyed, can understand some of the reasons why they might do it,” he said. “We do not make money on this event and the ticket price pays for live music, entertainment and security over the course of the event,” he said. “This year marks the first time in years in which Hickson Road Reserve has been available to the public on New Year’s Eve, having previously been used for a private function. 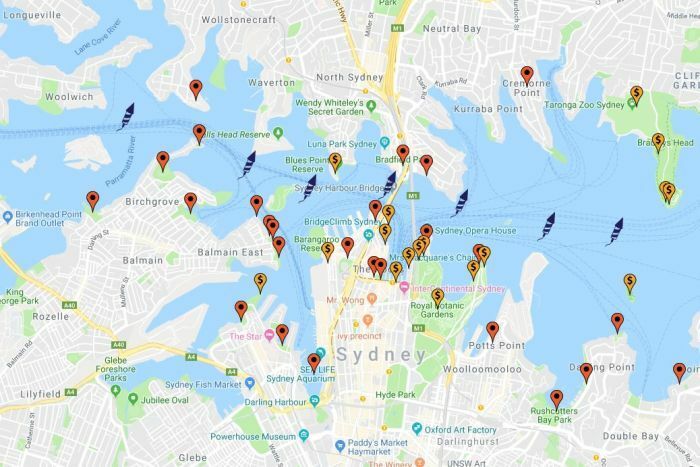 Joseph O’Donoghue from Keep Sydney Open said the “blueprint” for ticketing was implemented in 2011 by the NSW Office of Environment and Heritage, which charged for entry to the Botanical Gardens and Bradleys Head. He said the “template” has since been refined and local councils have been encouraged by police to adopt it, since it eases pressure with an additional security presence. 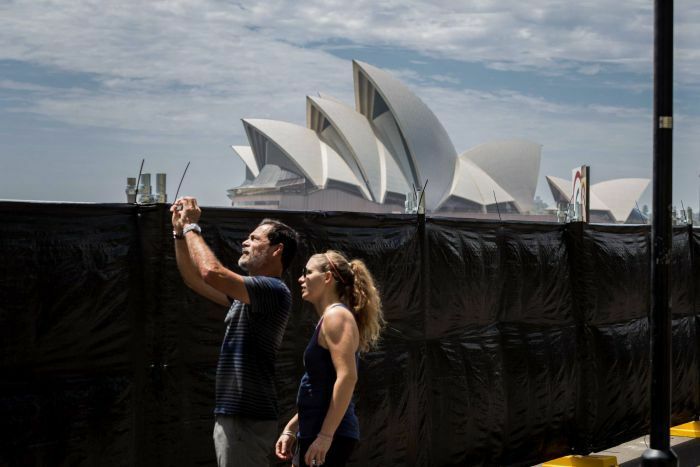 Mr O’Donoghue said safety was “bandied about” as a justification despite Sydney being the world’s 7th-safest city, and also rejected the argument from some councillors who insisted the “exorbitant” clean-up costs needed to be covered. “It automatically excludes people,” he said. “My personal opinion is we’d all like to do everything for free in life but things to look after the community do ultimately come at a cost,” he said. The Chinese High-Rise Ponzi brought to Australia thanks to Harry Who? THIS is the extent of OverDevelopment in one of China’s small cities Jurong of 600,000 people. New city blocks, crosswalks and streetlights erected overnight! One development straddling several blocks called Yudong International will include 120 buildings when completed. Unwanted apartments are weighing on China’s economy — and, by extension, dragging down growth around the world. Property sales are dropping. Apartments are going unsold. Developers who bet big on continued good times are now staggering under billions of dollars of debt. THIS may now well be replicated in SYDNEY … how many more cracks will widen in the SYDNEY PROPERTY MARKET? Another impact has been on Our Australian Society with high immigration and Visa Manipulation many Young Australians like the Chinese struggle with unaffordable housing, and spiralling living costs, and are delaying marriage, having a family, and home ownership as they are subject to the lowest wages growth and insecure work! IS THE OPAL TOWER CRACK-UP A GODSEND? LET’s HOPE SO! For Hu Peiliang, Jurong was a city of cranes, concrete and opportunity. He was so sure it was on the cusp of a boom that last year he moved his family there. On an overcast day last month, Hu, a 31-year-old real estate agent, pointed to one new building after another as evidence. New city blocks have been built, crosswalks and streetlights erected overnight. China is grappling with an economic slowdown brought on by efforts to curb debt and worsened by the trade fight with the United States. But any solution will have to contend with the country’s property problems. More than 1 in 5 apartments in Chinese cities — roughly 65 million — sit unoccupied, estimates Gan Li, a professor at Southwestern University of Finance and Economics in Chengdu. “I am very angry,” said Jia Rui, 24, who bought a Center Park apartment a year ago. He watched last year as property prices rose for months before deciding to buy the apartment, which will be bigger than the one he currently lives in with his wife and parents. When he learned that similar apartments were later being sold at nearly half the price, Jia said, he felt helpless. China’s property market has long been a wild ride, driven by speculation from property developers and homebuyers alike and made worse by government efforts to tame prices if they get too high and juice sales if they get too low. The current slowdown stems in large part from a three-year building spree driven by a surge in prices in many cities. Officials struggled to contain a white-hot property market with measures that included open consideration of a national property tax. Housing is key to China’s well-being. It accounts for roughly one-fifth to one-third of China’s economic growth, depending on whether ancillary industries like construction and furniture-making are included. Property is the largest source of wealth for households, a given in a country with strict rules against moving money overseas and a volatile stock market. In major cities, it sometimes accounts for as much as 85 percent of a family’s assets, according to researchers at Southwestern University. Now people are angry, and Chinese officials and property developers are doing something about it. Officials tried various measures to take steam out of the market last year and are now reversing some of them. In recent months, they have loosened mortgage requirements, eased restrictions on when homeowners can resell their properties and made it easier for university students to continue living in the cities where they are studying after they graduate, potentially increasing housing demand. In some cities, property developers have cut deals with homebuyers to give them back the difference between the current price and the one they originally paid. As housing prices begin to fall — in some cities by as much as they did during the depths of the global financial crisis in 2009 — some buyers have made their displeasure known. Jurong, a small city by Chinese standards of 600,000 people about a 45-minute drive from Nanjing, has experienced at least six protests alone in recent months. Country Garden, the developer behind Center Park and other residential complexes around the country, has endured slumping sales and has slashed prices. It has faced fury from buyers, some of whom have taken to smashing in the windows of sales offices in at least one city, according to the local media, which posted images and video. In a written statement, Country Garden said fluctuating home prices were “a normal market phenomenon” and said it would “make proper arrangements” to assuage angry homebuyers. Hu Peiliang, the real estate agent in Jurong, and his friend Wang Liwei were selling homes in Nanjing before they decided to make the move to Jurong. If prices were so high in Nanjing, it seemed only logical to both men that prospective buyers who were unable to afford a place there — or who were locked out of the market because of residential restrictions — would look to Jurong. The government’s plan to build a metro system made the city even more appealing. BUYING OFF THE PLAN & THE HOME BUILDING COMPENSATION SCHEME … DOES NOT APPLY TO HIGH-RISE UNITS & SOME RETIREMENT VILLAGES!! HOW can this be regarded as “Fair Trading” in NSW with home owners having purchased a high-rise apartment … when developers have it all cooked up so that consumers have little choice, or have been priced out of an alternative of a cottage by the Housing Ponzi Scheme of NSW INC? “The HOME BUILDING COMPENSATION SCHEME covers new houses and multi-unit residential buildings up to three storeys high. There is no cover for multi-unit buildings that are more than three storeys high. WITH NOT SO FAIR TRADING IN NSW INC! Properties can be advertised for sale before the building has been constructed. Buying this type of property is known as ‘buying off the plan’. Is my deposit secure if the building doesn’t go ahead? they will refund your deposit if you don’t end up entering in a contract to buy the property. The HBC Scheme may help compensate you for some losses if there is defective or incomplete work in the building, and the builder or developer has become insolvent, dies, disappears, or the builder’s licence is suspended for failing to comply with certain court or Tribunal orders. With a quarter of Sydney’s Metropolitan residents now living in Strata titled properties, the increase in high rise residential developments shows few signs of abating. New legislation, coming into effect at the end of this year, will give these owners greater protection and developers may need to consider changes in the way they do business. The Strata Schemes Management Act 2015 (the Act) will come into operation across New South Wales in November 2016 and draft regulations are currently being circulated by NSW Fair Trading for comments. This should offer better protection for owners of residential building apartments. In particular, it addresses a constant bugbear – the defects in these developments. There has been particular concern recently for the rights of owners’ corporations and purchasers in pursuing defect rectification following the High Court’s decision in the case of Brookfield Multiplex v Owners Corporation Strata Plan 61288  HCA 36 (the Brookfield Multiplex Case). The Brookfield Multiplex Case provides that the law will not step in to assist purchasers in respect of latent defects where parties had an agreement articulating the builder’s obligations to remedy defects. Owners’ corporations (and purchasers of apartments) will either be limited to relying on their contractual protections, or the introduction of legislative reform. The Act may have a significant impact upon developers with the introduction of a new defect bond and inspection regime, designed to reduce the incidence of drawn-out disputes for defect rectification. This new regime, however, will only apply to construction contracts entered into after the commencement of the legislation and won’t apply retrospectively. Developers must now appoint a qualified building inspector to inspect and provide an interim and final report on the building work. Prior to completion of the building work, developers must provide a building bond (paid into a fund established by the Department of Fair Trading) equal to 2% of the contract price for the purpose of securing payment for rectifying any defective building work identified in the final report. On the later of two years after the completion of the building work, or within 60 days after the final report is given to the developer, the bond will be either drawn down in favour of the owners’ corporation if the final report identifies and estimates the costs of the defective work, or returned to the developer (or the balance of the bond) if there is no defective work identified. The maturity date for a building bond must not be more than three years. Importantly, an occupation certificate (as issued under the Environmental Planning and Assessment Act 1979) for any part of the building for which the building work was done will not be issued until the building bond is provided by the Developer, which may impact on the Developer completing its contracts for sale. Clearly, the NSW Government is attempting to address the need for additional statutory protection for purchasers or unit holders by increasing accountability for developers. The new legislation supplements the statutory warranties provided by the Home Building Act 1989 (NSW) (Home Building Act) and in particular, “multi-storey” developments. Under the Home Building Act, owners have a period of six years to claim for any ‘major defects’. Claims for defects causing physical damage, which fall short of this definition, need to be brought within two years. So how will the draft legislation impact upon developers? It really depends on the way their organisation is structured. Those developers with in-house construction capabilities will have different considerations and may seek to allocate risk differently compared to those who contract with third party builders. Those contracting with third party builders will seek to extend the defects liability periods until the issue of the final report (which will occur after the two year period), and require builders to provide additional security to cover the 2% defects bond. Developers with in-house construction subsidiaries may not wish to change their current approaches and risk allocation with their related builder entity. These organisations could seek to pass this added cost on to the individual purchasers of the strata units. How effective the reforms will be at addressing the issue of post-completion defect rectification remains to be seen. There are obvious practical considerations for all parties to negotiate; will bonds for 2% of the value of the contract sum really be adequate to cover the costs of rectifying all defects? Debateable. In light of the Brookfield Multiplex Case, or any legislative reform, there is a prudent path. Developers and builders, as well as owners corporations and purchasers should ensure that the terms of the agreement between the parties are clearly set out in the contracts they enter into. See rolling annual total for high rise residential building approvals chart – Business Insider Australia, “The RBA’s warning on Australia’s apartment boom’, 16 October 2015, David Scutt. Comments on the draft Strata Schemes Management Regulation 2016 may be lodged by way of email to <strataconsultation@finance.nsw.gov.au>. See ‘The rise and fall of a builder’s duty of care to owners corporations’ 10 October 2014 by Anna Ross and Kate Gill-Herdman. The High Court’s reasoning for its decision that the builder did not owe the duty of care alleged by the owners corporation for economic loss caused by latent defects was based on the special circumstances necessary to establish the existence of such a duty of care and the need to establish a certain level of ‘vulnerability’. It held that the individual owners of the units purchased (together, forming the owners corporation) were not ‘vulnerable’ to the required threshold to the economic loss caused by the construction by the builder. The individual owners were in a position to protect themselves contractually when entering into the agreements with the developer, and could have ‘exercised [their] contractual wisdom to bargain for protection against the risk of defects’. The term ‘developer’ in the Act has the same meaning given to it in the Home Building Act 1989 (NSW). if defective building work is identified, within 18 months to 2 years of completion of the building work, arrange for that inspector to carry out a final inspection and provide a final report (final report). The developer will be responsible for all costs associated with obtaining inspections and reports, and for the purposes of section 210 of the Act, the building bond may be used to meet the costs of an inspection or a report, including any fee for the appointment of a building inspector by the Secretary (if the developer of the Strata scheme is bankrupt or insolvent and the costs of any fee have not been paid). See section 54 of the draft Strata Schemes Management Regulation 2016. Matters to be specified in the interim report and final report are contained in sections 47 and 48 of the draft Strata Schemes Management Regulation 2016. The building bond will be payable irrespective of whether the building work is held to breach the statutory warranties under Part 2C of the Home Building Act, or whether the developer is liable to the owners’ corporation or any owner of a lot in respect of that work. A developer may be subject to a fine of up to $22,000 if it fails to provide the building bond prior to completion of the building work, and an occupation certificate will not be issued until and unless the building bond has been provided (Division 3, Part 11). See section 51 of the draft Strata Schemes Management Regulation 2016. See section 207 of the Act. High rise residential buildings which have a rise of more than three storeys and contains two or more separate dwellings. There is a general exemption for construction of new multi-storey residential building, which do not require insurance cover under the Home Building Compensation Fund. See Home Building Compensation Fund Fact Sheet published May 2016 by NSW Fair Trading and Division 6 Exemptions relating to insurance, section 56 of Home Building Regulation 2014..
 See section 18E of the Home Building Act. HOW can it be regarded that we have “Fair Trading” in NSW because developers provide little choice apart from high-rise apartments? For too long governments have ignored the key stakeholder in the apartment building boom: the resident. In fact, under current consumer laws, you receive more protection buying a refrigerator than a $1 million apartment. Planning Minister Anthony Roberts says New South Wales has one of the most stringent planning systems in the country. This fundamental lack of protection for apartment owners and residents only gives rise to a loss of public confidence in the entire strata system. With population projections showing NSW will be home to 9.9 million people by 2036, and 70 per cent of newly approved dwellings estimated to be apartments, a significant loss of confidence in strata living would be devastating for the state. You would think that such a reliance on apartment living would see governments ensure that citizens who live in vertical villages are protected if things go wrong. Sadly, this is not the case. Apartment owners in NSW, and across the country, have little consumer protections, while developers are not held accountable for their actions. In an effort to encourage growth through apartment construction, governments have whittled away these consumer protections. As a result, we risk the real possibility of having thousands of new apartments that no one has the confidence to buy. This has come sharply into focus with the Opal Tower fiasco, but it is a problem that has been steadily building as new apartments have sprung up and governments have happily turned a blind eye. According to research from the UNSW’s City Futures Research Centre, 85 per cent of respondents in buildings built from 2000 reported defects in the construction of their building. These are first home owners, young families and retirees on fixed incomes who are faced with shoddy work and little protection. The occurrence of building defects in residential strata space became an issue with the advent of private certification, which was introduced for the Sydney Olympics to ensure development kept up with demand. As far back as a 2002 NSW inquiry into quality of buildings, and more recently at a 2017 Senate inquiry into flammable cladding, the Owners Corporation Network and others have also repeatedly raised the serious issue of defects and the certification process. We cannot turn the clock back and do away with the private certification process. It is too entrenched. We depend upon it too much. The private certification process does not guarantee a quality build because within this process there is a fundamental lack of accountability, responsibility and duty of care which is at the root of the residential strata building defects issue, played out at large in Olympic Park. *The duty of care issue was highlighted in 2014, when the High Court held Brookfield Multiplex did not owe a duty of care to the owners of a building in Chatswood to remediate defects. The position of vulnerable consumers who sign standard form contracts has been left exposed and uncertain. The High Court suggested it fell to governments to bridge this common law gap to ensure consumers were protected, and builders and developers held to account. So far no government in any state or territory has taken action to build a bridge over this defect in our consumer law. A statutory duty of care would ensure the buck stops with builders and developers, not innocent homeowners, when things go wrong. Accountability will encourage a much-needed cultural shift in the building industry, where a lack of accountability has been a hallmark for far too long. It’s time for governments to adopt a policy that ensures people who buy off the plan have better consumer protections than they have when they buy a fridge. The problems with the Opal Tower must be a catalyst for action from government. Ensuring consumer protections will ultimately be positive for all stakeholders. If governments fail to act, there will undoubtedly be more issues and zero accountability, which will continue to undermine confidence in this vitally important form of housing. Stephen Goddard is chair of the Owners Corporation Network. Sydney young and old: Which age group is most common in your area? Striking generational differences have emerged across Sydney with the 45-59 age-group the most common in the city’s north-east while in the south-west the most prevalent age group is under 15 years. A demographic mapping project for business group the Committee for Sydney has revealed which age group is most common in each city region. Areas surrounding the jobs-rich central business district are dominated by a cohort of young workers – the most frequent age groups in those inner-city neighbourhoods is either 15–29 years or 30–44 years. The most prevalent age group in almost all neighbourhoods west of Parramatta is either 0-14 or 15-29. But the pattern is very different throughout most of Sydney’s northern districts were the most common age cohort is 45-59 years. The concentration of those aged between 15 and 44 years in inner-city suburbs points to a “higher level of demand for job-proximate rental housing from younger, working professionals,” the report said. There could be a clash between the young vote and the grey vote. There was only one statistical district (labelled Statical Area level 3 by the Bureau of Statistics) where the most common age was 75 years and over – Castle Hill East where a large cluster of senior living facilities are located. The committee’s analysis indicates many other Sydney districts will have to adjust to a larger share of older people in future, especially in the north east of the city. Director of Policy at the Committee for Sydney Eamon Waterford said the large areas to Sydney’s south-west and north-west dominated by the 0-14 age group showed how families tend to migrate to outer suburbs once they have children because spacious housing is more affordable. “There is a clear trend towards a trade-off, where families accept more affordable housing but less access to jobs and regular public transport in more suburban areas,” he said. But this pattern poses a key challenge for the city. “Will parents be able to access jobs locally, thus avoiding a long commute and making it easier to juggle work and child care?” Mr Waterford said. The 2016 census showed Sydney’s median age was 36, two years lower than the national average. Hobart had the highest median age among the capital cities at 40 years. The demographic disparities across Sydney revealed by the committee’s study also have political ramifications. “A swelling of younger people in the inner-city and an outer ring of older families and retirees is likely to influence a number of electorates,” Mr Waterford said. 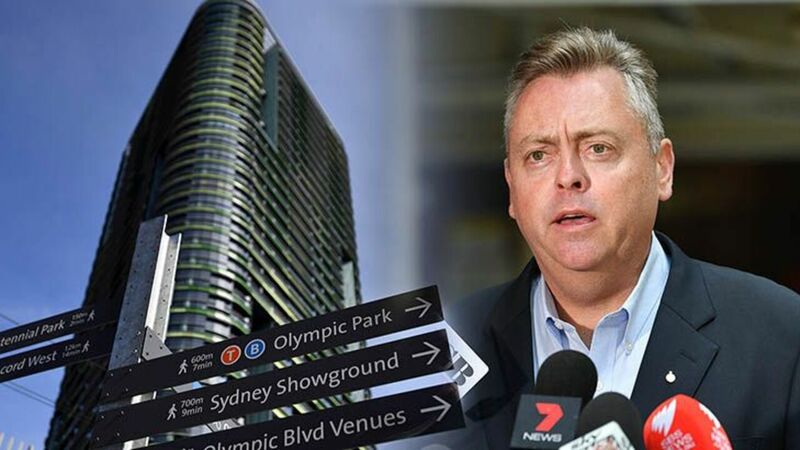 WHY IS THE NSW GOVERNMENT SINGLING-OUT BUILDING CERTIFIERS FOLLOWING THE OPAL TOWER SAGA? Labor’s Better Regulation Spokeswoman, Yasmin Catley, said the Government could have acted earlier. WHY? Is it because this government has enjoyed a cosy relationship with the Developer Lobby? WHY do you suppose the NSW Government is focusing on the Building Certifier, and not the Developers who are at the Apex … who happen to be “big Liberal Party Donors”? HOW did this “cosy relationship” come about? WHY is it that Certifiers can tick off a particular trade if that contractor supplies a “certificate of compliance”? WHAT about more information being available to home owners and buyers about a Developer’s disciplinary record and work history? The NSW Government has announced a crackdown on dodgy building certifiers as it tries to manage the fallout from Sydney’s Opal Tower fiasco. A crack was found in a pre-cast concrete panel inside the building on Christmas Eve, which prompted an emergency evacuation over fears the 34-storey building could have been structurally unsafe. Some residents were allowed back into their homes, but were again ordered to get out on Thursday afternoon so a “comprehensive investigation” into the incident could take place. The State Government has also launched its own investigation into the crack, appointing two university professors of engineering to write a report which will be made public. But the Berejiklian Government has been under pressure to act further to allay fears about other buildings which have shot up in Sydney in recent years and Minister for Better Regulation, Matt Kean, today revealed its next steps. “If you’re a certifier who’s done the wrong thing, I will find you and I will throw the book at you,” he told the ABC. The Government’s four new measures include a large compliance operation which will see 25 to 30 per cent of certification work audited every year, undertaken in a “strike force-style approach”. “We’re looking at buildings that are currently being constructed, and buildings that have gone up in recent times,” Mr Kean said. Under a new disciplinary policy, any certifiers found to be corrupt or to have negligently signed off on a building which is unsafe or structurally unsound will be immediately kicked out of the industry. Certifiers who are found to have breached the industry’s code of conduct on building quality will be banned from working on new strata developments for 12 months. More information will also be available to home owners and buyers about a certifier’s disciplinary record and work history. Mr Kean said the crackdown has not been launched because he is concerned about the way the Opal Tower was certified. “There’s an investigation going on, I want to wait until we get the results of that investigation, but what it has highlighted is further community concerns about certification in NSW,” he said. Mr Kean also hinted more changes to the building industry may be on the way. “Certification is one piece of the puzzle here, but there are many other parts of the building industry where we need to shine a light on what’s been going on,” he said. The Minister for Planning and Housing, Anthony Roberts, is expected to give a preliminary update on the Government’s investigation today. “What the Minister has done today is react to a disaster that has presented to this Government,” she said. Independent Sydney MP Alex Greenwich has called for a special commission of inquiry into apartment building defects to be set up. 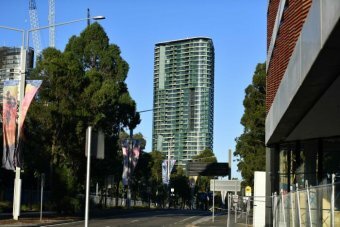 The Opal Building’s developer, ECove, insists the building is structurally sound. The investigation into the incident is expected to take at least another five days and residents are currently being put up in hotels around Sydney — and compensated — while they are required to be out of the building.